Home » Family » My Parents Golden Anniversary! How precious that my parents are celebrating their golden wedding anniversary today! I am in awe! They are an example of steadfastness and commitment and have overcome many obstacles to be where they are today and I am so proud of their accomplishment. Our family will be visiting them in a couple of weeks to celebrate this special time with them (and to visit my sweet nephew that I have not yet met). I greatly appreciate my parents for all their love and am grateful for their generosity and support all these years towards their 4 children, the spouses and 5 grandchildren! 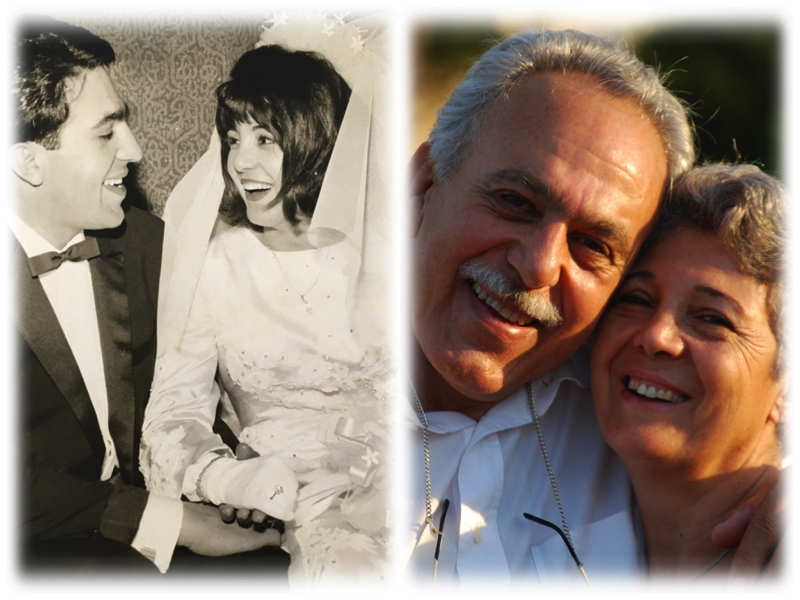 In honor of my parents anniversary I am sharing a link with resources dedicated to nurturing love and marriage. And I couldn’t resist sharing another post I made with the help of many friends titled, ‘100 Tips for a Happy and Healthy Marriage’. Below is a lovely recording from The Prophet by Kahlil Gibran. I recorded a spontaneous piano composition in the background. Enjoy!